Our family of five stayed in Golden Sunset at Glitter Bay for 10 nights in March. It was truly more than we could have ever wished for. The apartment is spacious, beautiful, and clean. Being able to drink my morning coffee overlooking the Caribbean Sea every morning was a dream. 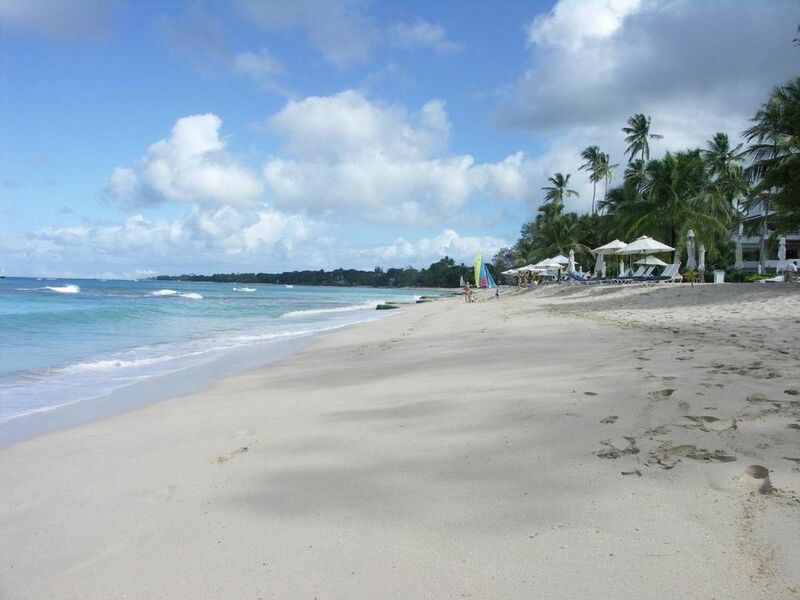 It's close to many beachside restaurants and a quick drive to Holetown. We had many delicious meals at the on site beach bar. Lounge chairs are provided for each guest (no getting up early to get one) and Rocky and Kemar were happy to move us up to the front when others left. Our kids loved the pool and playing tennis and table tennis. The jewels at Golden Sunset, however, are Janina, the owner, and her wonderful housekeeper, LeShell. Janina was helpful every step in planning our visit. She answered all our questions with patience and arranged our transfer to the apartment. LeShell is nothing short of amazing. She is super sweet, kept the apartment incredibly clean and was happy to make us a wonderful meal one evening. Everyone in our family loved Golden Sunset and we'll definitely be back! Thank you for being a wonderful guest and for your great review. We very much look forward to having you back at Golden Sunsets soon! Once again we stayed at this beautiful appartment and thoroughly enjoyed it. The location is ideal,convenient and offers excellent facilities. Thank you for your loyalty and lovely review. We look forward to seeing you again next year! Ssssshhhhhhh keep this place a secret! Third or fourth stay here and it still remains our number one holiday destination in the world. As the matriarch in our family I normally prefer hotels where I don’t have to lift a finger but golden sunsets and glitter bay fulfill all my holiday dreams and more. 1). Fabulous apartment with three en-suite kings all with ocean view balconies and maid service..
2). Guaranteed sunbeds daily with great bar and casual lunch restaurant. 3) good pool with loungers round it. 4) delightful owner of apartment who is a pleasure to deal with. 5). Location first class with restaurants walkable via the beach and easy taxi ride to holetown bars and restaurants. 6) arguably the best beach onthe Island. Thanks for the great review! We are very appreciative of your loyalty and glad to have you as our repeat houseguests. Look forward to seeing you soon. Well worth the Visit: immaculate, private, secure, peaceful, quiet; and friendly, helpful staff. This was a third year in Golden Sunsets, 304 Glitter Bay. Lashell, Dave, Andre and all the staff are becoming more like family; so supportive and kind. We cannot say enough about Janina Galler and the effort she makes to assure trip planning from arrival, through the stay, and departure are without issue. Not sure how best to say thanks to Janina and those on site who assist her but results speak for themselves. It was happy for us; another wonderful stay for the family! A little oasis in Barbados. Great pool on one side, Caribbean Sea on the other. Apartment is spacious, comfortable and well serviced. The rate includes 7.5% VAT and the 2.5% Barbados room rate levy. A 50% deposit + $500 refundable security deposit are required to secure premises; all fees must be paid in full 60 days in advance of occupancy. Security deposit ($500 US) will be reimbursed within 15 days of the end of your stay. Minimum stay over Christmas: 2 weeks. This is a non-smoking apartment.